1950 Pall Mall Cigarettes original vintage advertisement. Guard against throat scratch. 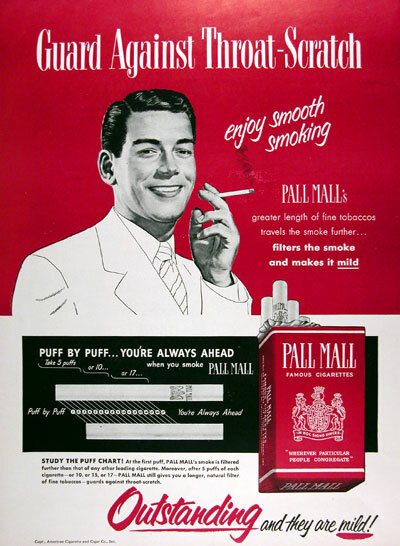 Enjoy smooth smoking Pall Malls. Greater lengths of fine tobaccos travels the smoke further, filters the smoke and makes it mild.